I'm enjoying the hospitality of @LabSpaces and ready for a full day at ScienceOnline. Here's what the awesome badge looks like. 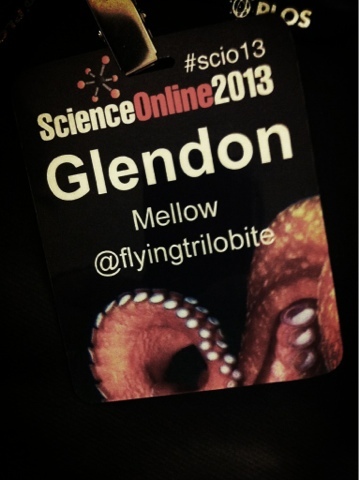 Written by Glendon Mellow On January 31, 2013 In "#scio13", "ScienceOnline"